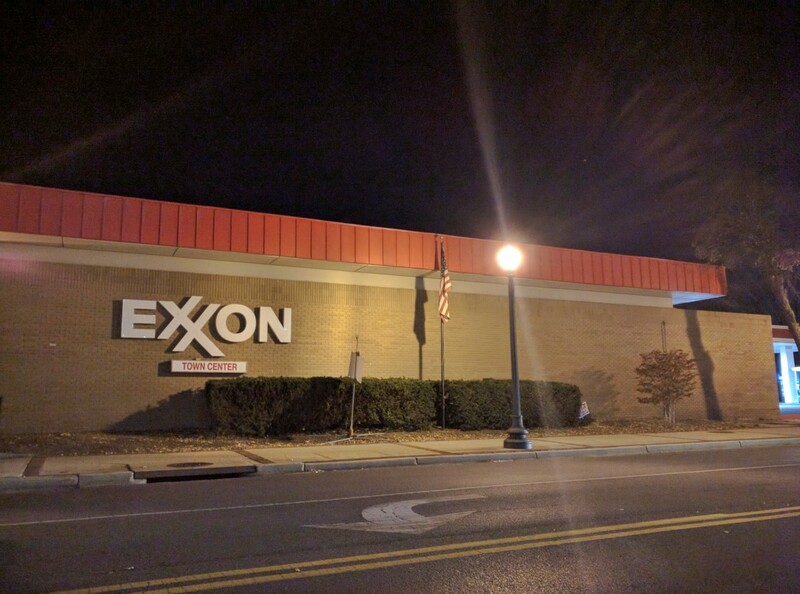 The sign says it all: "Under new management." So does the sign that disappeared. 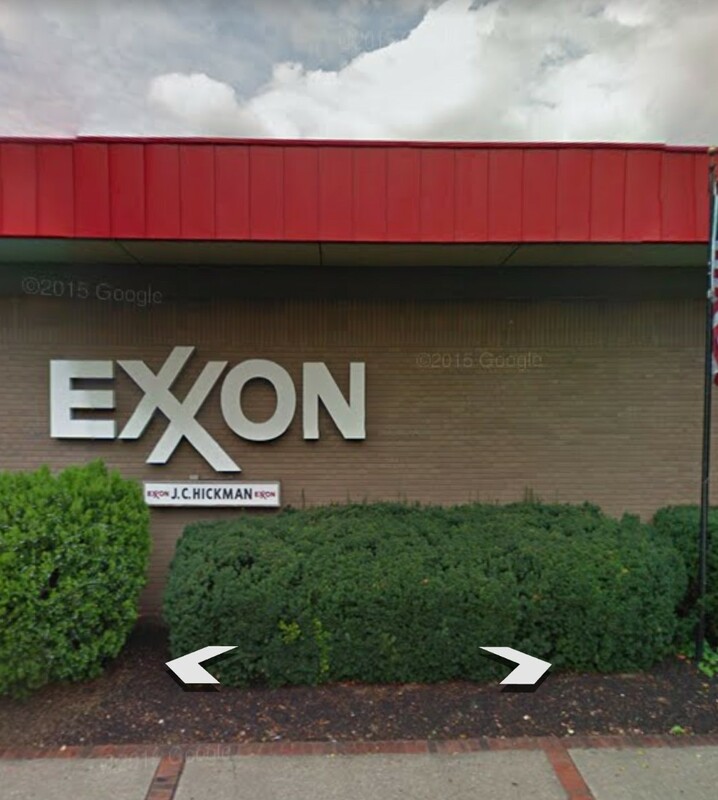 The longtime Exxon station at 200 N. Washington Street in Rockville has a new name, after decades under its original. Hickman's Exxon is now Town Center Exxon. The switch in ownership actually happened over the summer, but the official rebranding is only happening now. That may be because original owner John Hickman passed away on October 17. 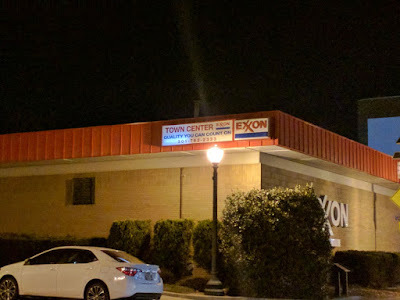 I like the retro font on the "town center" signs.